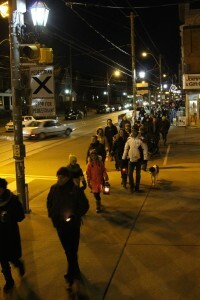 A great time was had by all on Saturday evening in our sixth annual Earth Hour walk down Roncesvalles Avenue. Over 70 people attended to share the evening together, including our MP Peggy Nash. 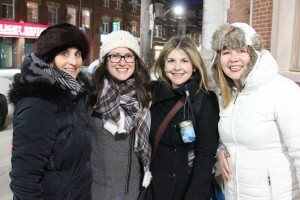 Thanks to the organizers, especially Karyn Klaire Koski, marshals Andrea and Sarah, and RoncyWorks volunteer Veronica Feihl. Thanks also to all of the businesses who dimmed their lights for the evening. 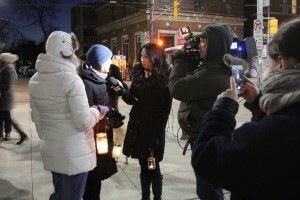 Many Roncesvalles restaurants were lit by candlelight for the evening, which made for a great atmosphere and a wonderful way to participate in this important worldwide event. Earth Hour is now celebrated in over 170 countries around the world. 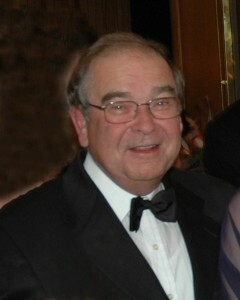 Millions of Canadians participate every year. Special thanks to the Revue Cinema, the Chocolateria, the Herbal Dispensary and Clinic, Fresh Collective, Cookery and Soho for their generous donations which were given to our Earth Hour trivia contest winners at the end of the walk. This entry was posted in Community News, CURRENT, Events, Front Page, Our Neighbourhood on March 31, 2015 by Keith. Festivals and Events Ontario announced the 2015 top 100 Festivals and Events in Ontario at is conference this past week. These recipients represent the best festivals and events held in Ontario, a select group of celebrations which draw both an international and a domestic audience. 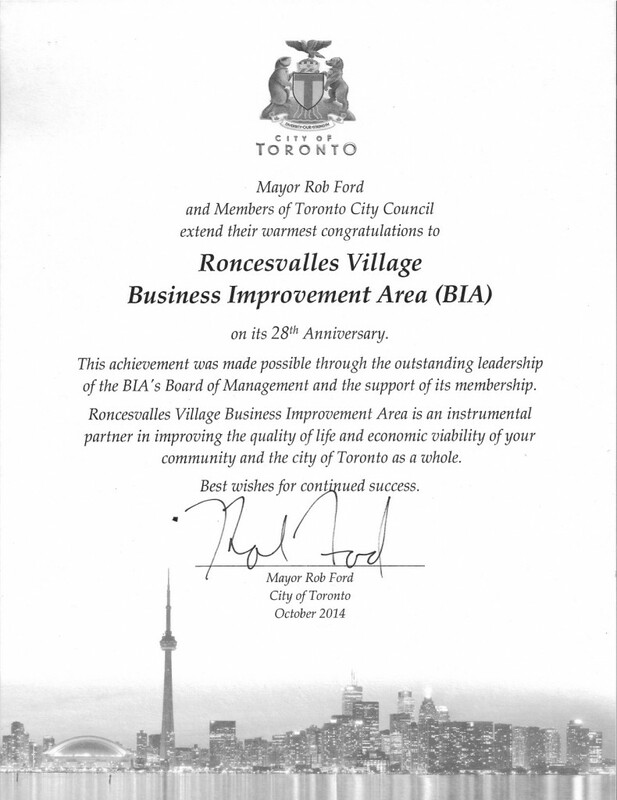 The Roncesvalles Polish Festival was among the recipients of this award. Now entering its tenth year, the Roncesvalles Polish Festival has grown to become one of the largest street festivals in Toronto, and is acknowledged as both a showcase for local businesses, artists and musicians and one of the world’s largest celebrations of Polish culture. This entry was posted in CURRENT, Front Page, Polish Festival on March 8, 2015 by Keith. 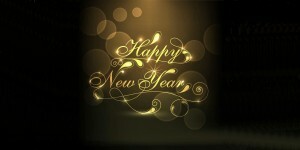 The members and the board of the Roncesvalles Village BIA wish you a happy new year and look forward to a fantastic 2015! This entry was posted in ARCHIVE, Front Page on January 1, 2015 by Keith.